One thing that is good about making my own cards is the chance to make a card which has something which fits the other person. I think it is often quite hard to get good cards for guys, and trying to find one which doesn’t have a picture of beer or a football on it is almost impossible. I made this one for my husband who had a birthday this week. I caught a cold and thought about just buying one because I was feeling too sorry for myself to get off the sofa to make anything. I’m glad I did in the end though because he really appreciated this as Oxford is a city he misses a lot now we don’t live there anymore. 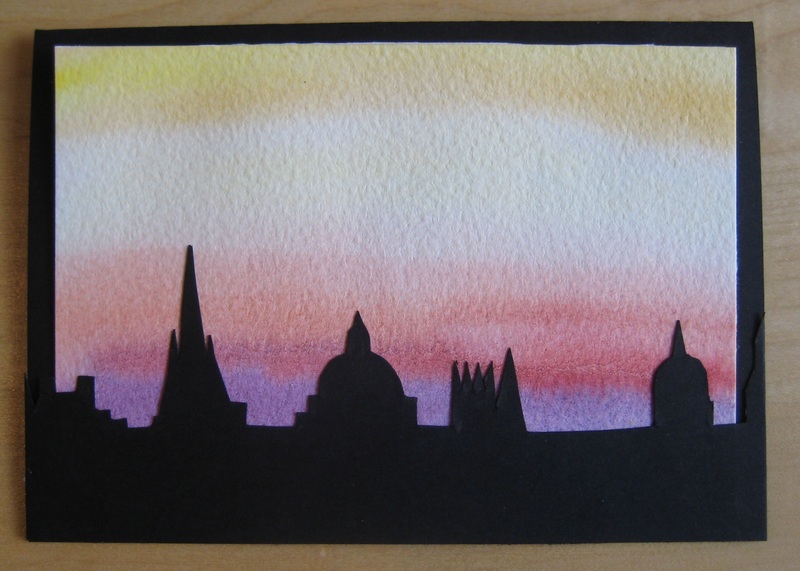 I did an image search online for Oxford skylines and found some pictures with some really dramatic skies as inspiration. 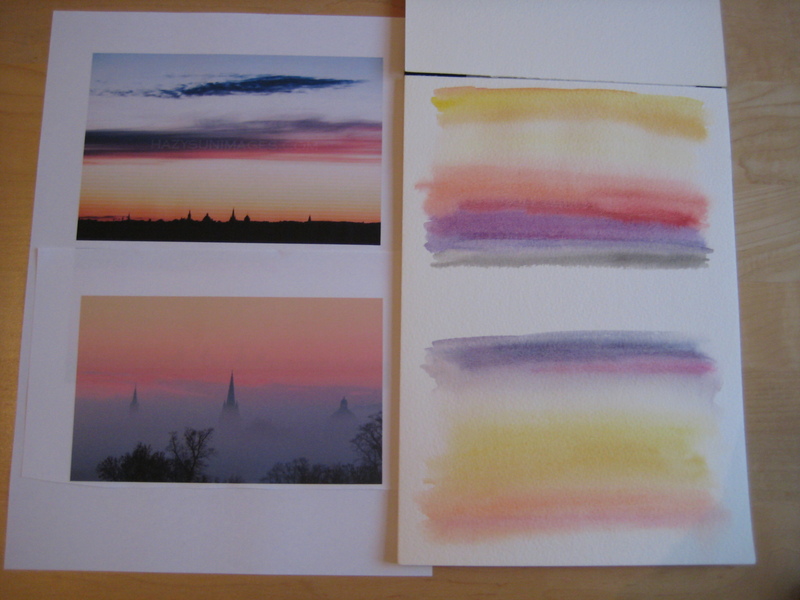 Then I dug out my watercolours and painted something approximating these colours. All that was left to do was sketch the various building outlines onto card and cut out the shape. I’ll admit this bit was fiddly, but it made quite a good project to get on with whilst recuperating from my cold on the sofa. A bit of glue later and job done. This came out quite dramatic looking and I think the technique could work well with things other than skylines.